Apple’s executives are on-stage at the company’s Town Hall campus in the company’s Cupertino, California headquarters. Head honcho Tim Cook kicked off the long-expected keynote at 10am Pacific / 1pm Eastern with his usual barrage of Apple biz stats (they don’t call him a numbers guy for nothing). And now, the company has officially taken the wraps off a product critics said would never see the light of day: a more affordable iPhone. 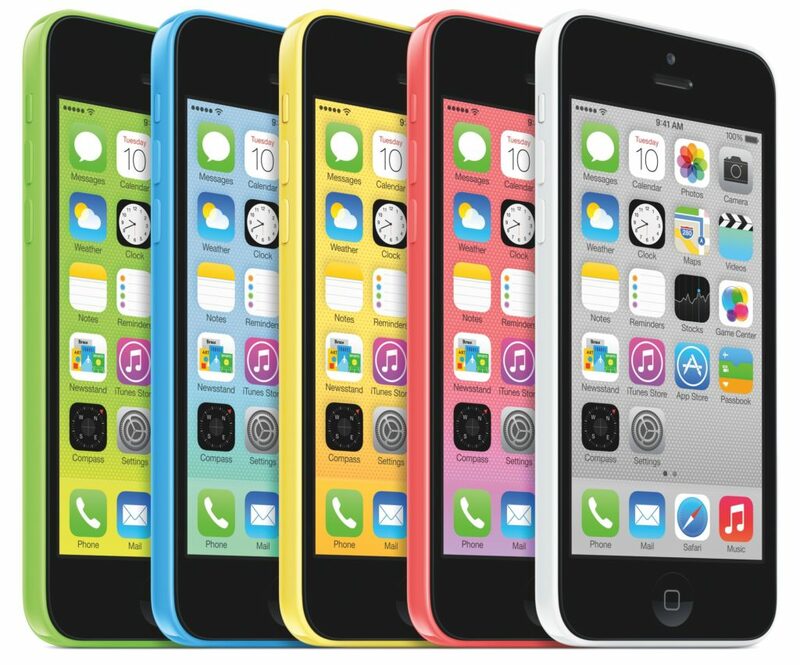 They are calling it the iPhone 5c and it’s basically the existing 2012 iPhone 5 hardware redesigned around a polycarbonate plastic enclosure with a black front face and your choice of one of the five brightly colored backplates: red, blue, yellow, green and white. 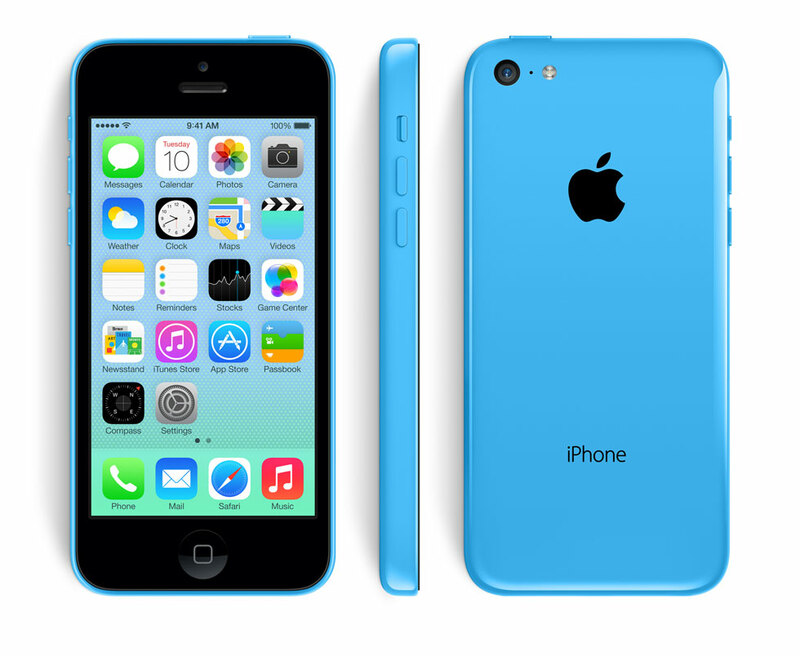 “In the past, we’ve lowered the price of the iPhone, making it accessible to more people,” Tim Cook teased before unveiling the web’s worst-kept secret, the iPhone 5C name. “We’re not doing that this year,” he added. 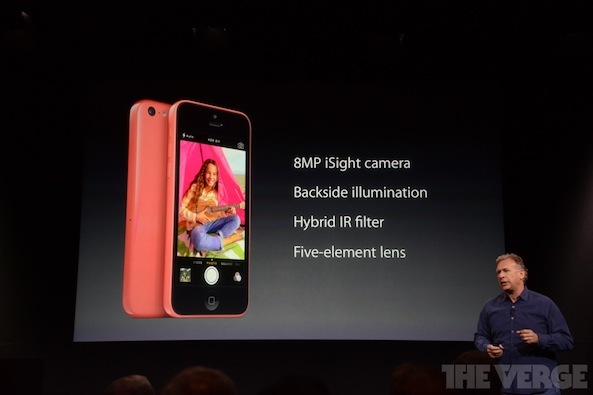 The device borrows much of the internals from the current-generation iPhone 5, including the A6 chip, the eight-megapixel iSight camera on the back. However, it has a slightly bigger battery. 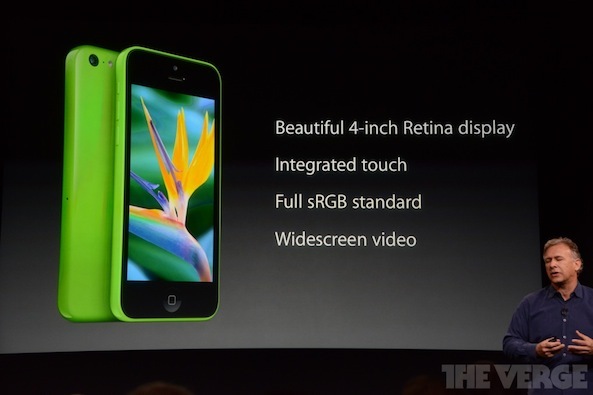 Oh, there’s also a four-inch Retina display with the same 1,136-by-640 pixel resolution like the iPhone 5. The phone supports “more LTE bands than any other smartphone in the world,” marketing head Phil Schiller boasted. Apple is also getting back in the case game: they are offering custom cases for the iPhone 5c made of soft-feel silicon rubber (yes, there’s space around the handset’s camera and flash). Here, a few more slides. You “won’t see seams, or part lines, or joins,” Schiller noted. 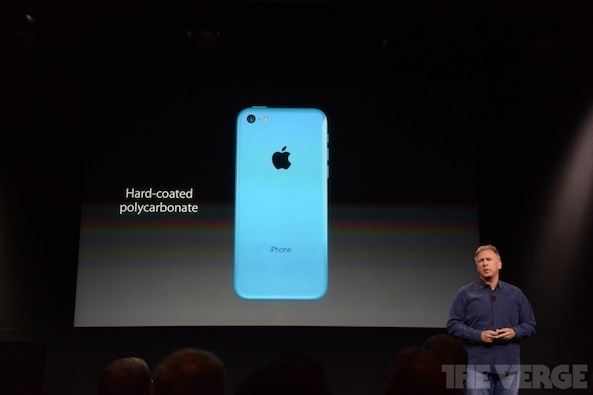 Again, the iPhone 5c is made from hard-coated polycarbonate plastic. 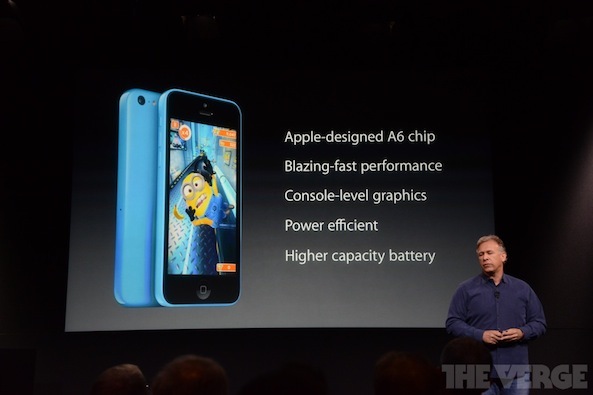 The 16/32GB will set you back $99/$199 with a two-year contract and $549/$649 without a contract. This entry was posted in iPhone and tagged 5c, apple, iphone. Bookmark the permalink.